EDF Energy has provided its customers with a boost after announcing the launch of Blue+Price Promise. Under this new initiative customers will have the chance to avoid any future price rises up until May 2014. This means that EDF customers could fix their energy prices - at a competitive rate - for the next couple of winters. EDF has also been revealed that those who decide they want to switch their energy supplier will have the freedom to move without having to pay them an exit fee either. Based on typical energy consumption levels and the national average price of energy at a regional level, customers on a dual fuel tariff with the Blue+Price Promise can expect to pay around Â£1,143 a year if they opt to pay via Direct Debit. 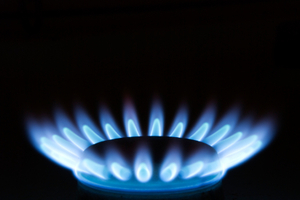 As part of the Blue+Price Promise, the big six energy supplier - which is also partaking in the Warm Home Discount Scheme - will inform its customers if a rival supplier is offering a tariff that works out at a Â£1 a week cheaper - based on typical consumption levels. Commenting on the launch of Blue+Price Promise, EDF Energy's director of residential customers, Jim Poole, stated: "As winter approaches, we know many people are worried about what will happen to their energy bills. "Those signing up to our Blue+Price Promise May 2014 tariff will gain the peace of mind of knowing their energy prices will remain fixed over the next two winters at a competitive price. And customers will also benefit from the flexibility of knowing they can leave at any point without paying an exit fee if they find a better deal. "We'll even promise to tell customers if a rival brings out a tariff which saves them the equivalent of Â£1 a week or more at typical consumption," Mr Poole concluded.